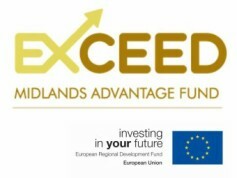 The Exceed Partnership was launched in March 2010 to provide expansion and development capital to West Midlands based businesses. The Fund is targeting businesses across a broad range of sectors with the potential to deliver high levels of growth and profitability. The Fund can invest up to £500,000 initially, with the capacity to invest significantly beyond this level in subsequent rounds and is actively seeking new investments. The £18 million fund was created through investment from Lloyds Development Capital, the Department for Business Innovation and Skills and the European Regional Development Fund. The investment team for the Exceed Partnership fund is lead by Tony Stott and Surjit Kooner.